Intelligent people can’t help questioning and trying to understand everything around them. Most of the common people just don’t bother to think of the cause of and solution to the problems in this world. But in every generation, there have been some who ask how disorder and strife in the world makes any sense! What is the cause of all the injustice, disorder, and strife in this world? How did this world come into existence? Did this world come into existence just by chance or by a lengthy process of evolution as atheists believe? Or did some intelligent Creator create this world? If an intelligent Creator made this world, what kind of a person is he? Is he good or bad? If he is good, is he powerful or weak? If he is good and powerful, why is he standing aside just as a spectator while so much injustice is going on without an end in every area and sphere of the society? Or can we think he is not basically good? This goes against our common sense. Every person in the world, whether he or she is good or bad, inevitably admires and applauds only goodness! If even the bad people maintain that goodness alone is commendable then the first cause too must be good! If there is a Creator who is infinitely powerful and absolutely good, why is he not setting things right immediately? Why is he allowing the innocent to suffer and the wicked to prosper? Though the belief in an omnipotent God sometimes appears to be against common sense because of the disorder and injustice in this world, believing atheism is much more unreasonable and illogical! Dr. Oswald J. Smith, the great missionary statesman and founder of Peoples Church in Toronto, Canada, once said, “It requires more faith to be an atheist than to be a believer in God!” He said you have to believe in more absurdities and impossibilities as an atheist than what you would believe as a theist. I have personally decided to believe in an Almighty God, who is self-existent and omnipotent. I don’t have the robust faith to believe that a unicellular organism that accidentally came into being could accidentally develop into many different species and with each species having a perfectly programmed genetic code in them, compelling them to reproduce a new generation of creatures in the likeness and form of their parents! Any informed person who knows the intricacy of the genetic code in each species can’t be an honest atheist! The genetic code is so wonderfully programmed that it can never happen just by chance! One hundred oranges kept in a basket may fall on the ground by accident—but those oranges can’t be arranged into ten rows with ten oranges in each row accidentally! Got my point? The perfect order in nature and the universe makes it difficult for me to believe that all the wonderful arrangement happened just by chance! I am not judging or undermining the atheists. I agree that everyone has a right to believe and express his or her beliefs! Even I have a right to believe that God really exists, and I have a right to quote the Bible—“The fool says in his heart, ‘there no God’…” (Psalms 53:1). I am a firm believer in God, and this book is written for those who have a similar faith. Those who don’t believe in God can quit reading this book, throw it aside, and walk away because they will not understand what I am saying here. The questions we have faced so far: Why is there so much of suffering, injustice, crime, exploitation, inequality, division, hatred, and strife in this world? Why did God create such a disorderly world? 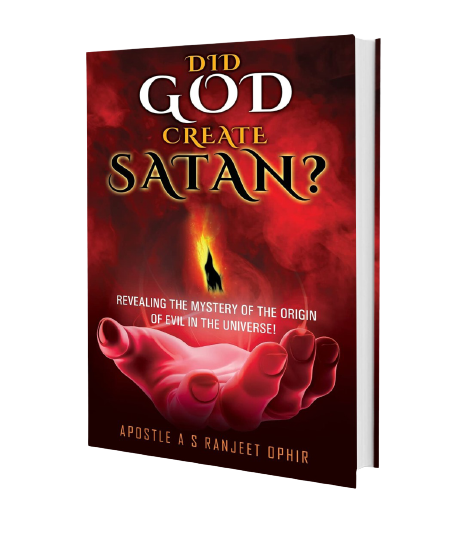 It is generally taught by Christian preachers that the world was perfect when God made it, but it was later corrupted due to some unfortunate incidents! That doesn’t make any sense because if God is God, he must be omniscient, and omniscience includes the knowledge of the future. God must know the future, if he is God! He should have known beforehand that the world he is creating will soon be corrupted and would have stop creating it! We can be a little considerate and agree that God had every right and authority to create the world in spite of the impending corruption of this world. We will then be forced by our common sense to ask: Why is the “absolutely good God” not taking measures to set things right immediately? Why is he not restoring the world to perfection? What is stopping him from removing and rectifying the corruption immediately?